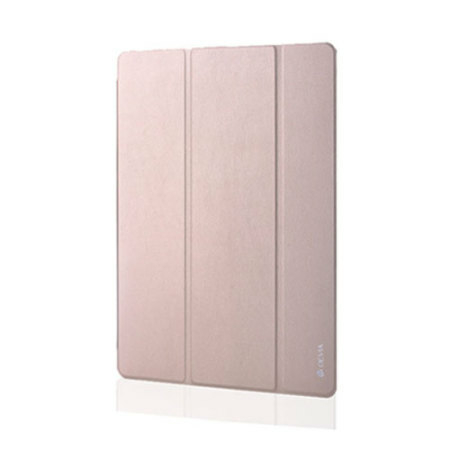 Protect your iPad Pro 12.9 2015 with this Light Grace leather in gold case with sleep/wake functionality, ensuring your Pro is kept looking pristine whilst being protected at all times. Hated covering ip my lovely ipad with two-sided orotective csse - so this was a brilliant solution. Justcas robust as my old cover but more attractive snd with a great see-through back so the ipad's rose gold colour shows through. Chesper than original cover too. Goods received and as expected....very suitable fo rthe purpose. Just whatI needed to protect my new treasure- light but strong. Didn't quite fit device. Had to use 2 sided tape to keep device secure in case. Gold colour is fine. Protects so that is good. After purchasing my Gold iPad Pro I wanted a leather smart case at a reasonable price and for something a bit different. After checking the Internet couldn't find many but did come across this Light Grace Leather case. Once ordered it arrived within a day or two very quick. It's a lovely leather gold case with clear back, fits perfectly and puts my iPad pro to sleep and wake up no problems just like my old Apple iPad Air case. For this price you can't go wrong as you do need protection for such a rest bit of kit. Would highly recommend and also purchase again should I ever need to.